This is the 42nd post in a series called 30 Second Tips. My goal is to show you how to do some neat stuff in 30 seconds or less! Did you know that each week Apple selects a great book and gives it away for free as their Book of the Week? 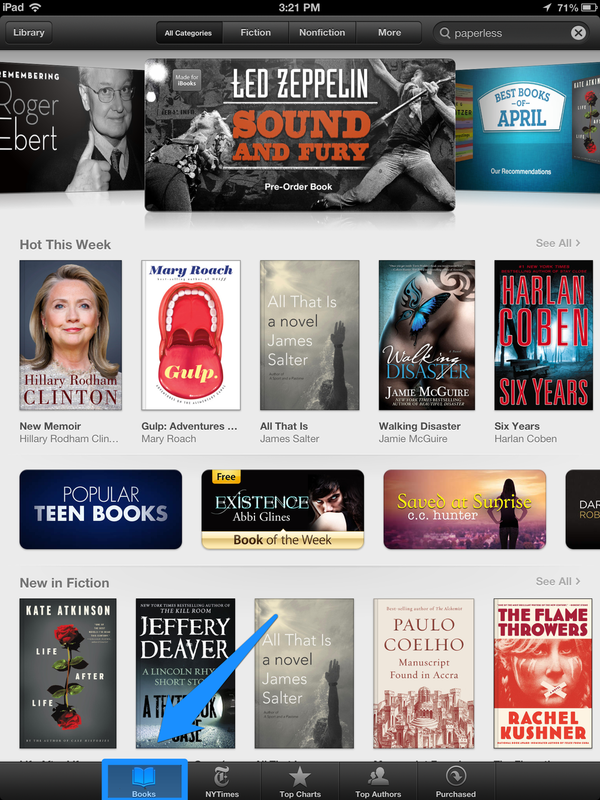 To download the free Book of the Week navigate to the iBooks Store on your iOS device. Note: You must download iBooks from the App Store if you don't already have it on your iOS device. I am going to demonstrate on the iPad. Open up the iBooks app. If you are currently in a book, tap once on the screen, tap Library to navigate back to the Library. Tap on the Store button in the upper left corner of your Library. Tap on Books on the navigation bar at the bottom of the screen. Tap on the Book of the Week. Enter your AppleID password if asked. Note: This is the same password you use to download apps from the App Store. The book will download to your library. Tap on the book to read it!